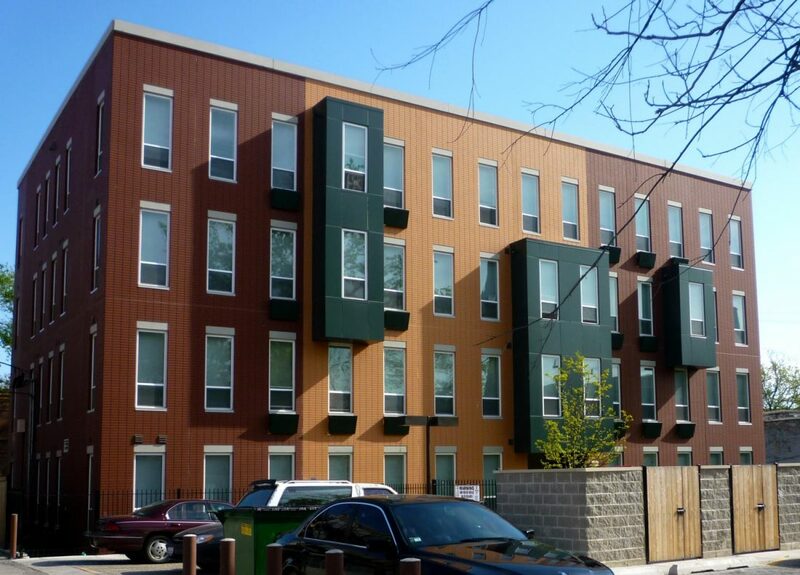 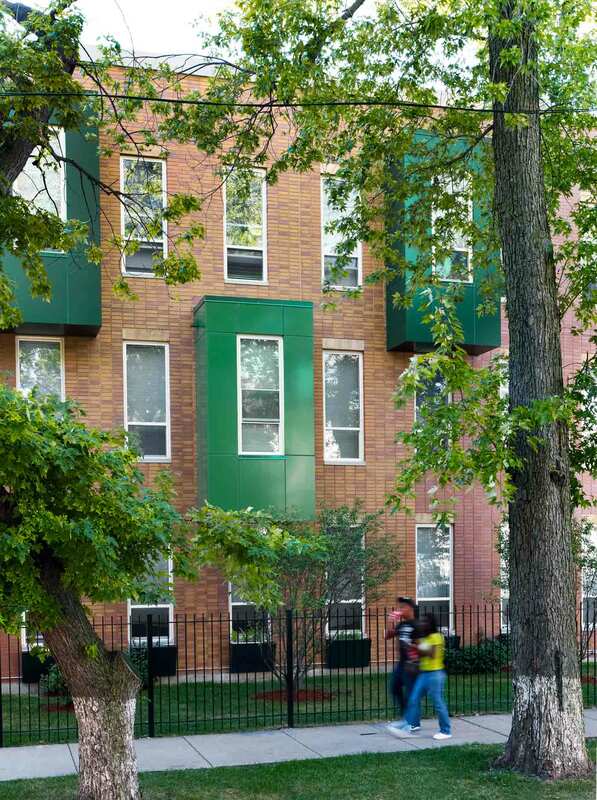 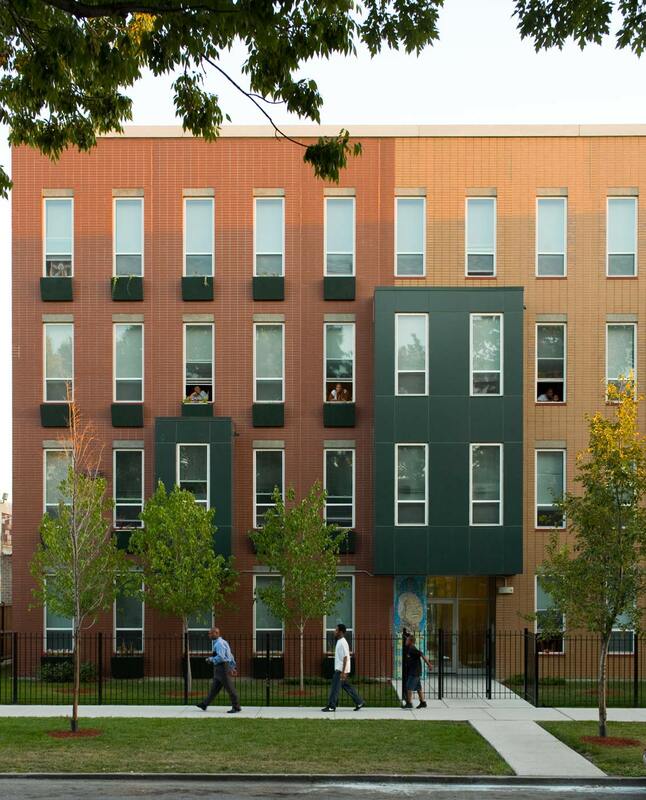 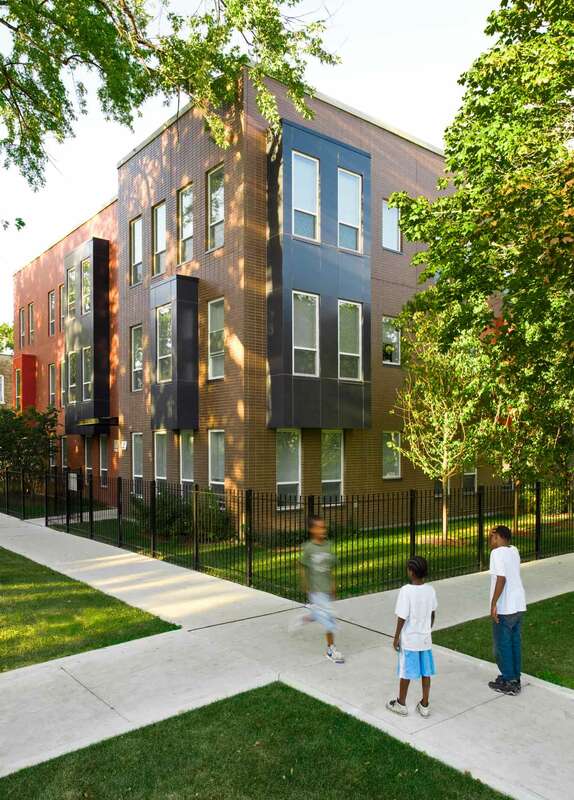 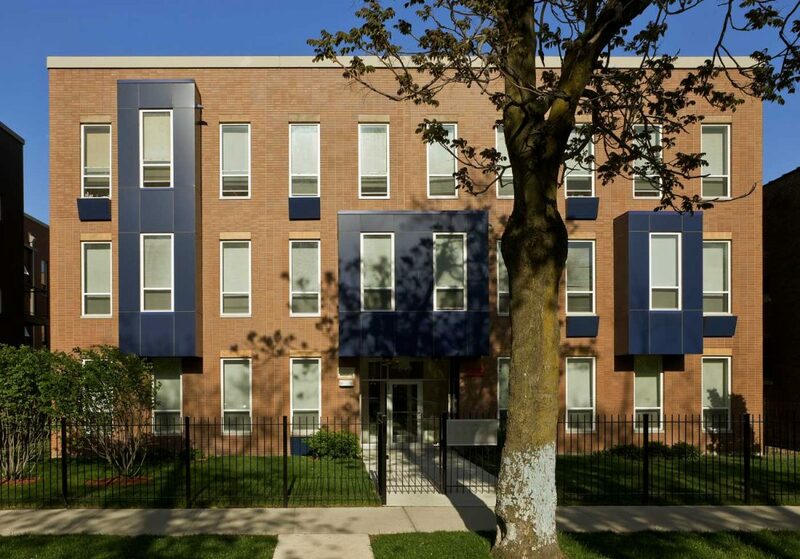 Rosa Parks Apartments consists of the development of 94 affordable rental apartments in 8 buildings scattered across 21 city lots in the West Humboldt Park neighborhood of Chicago. 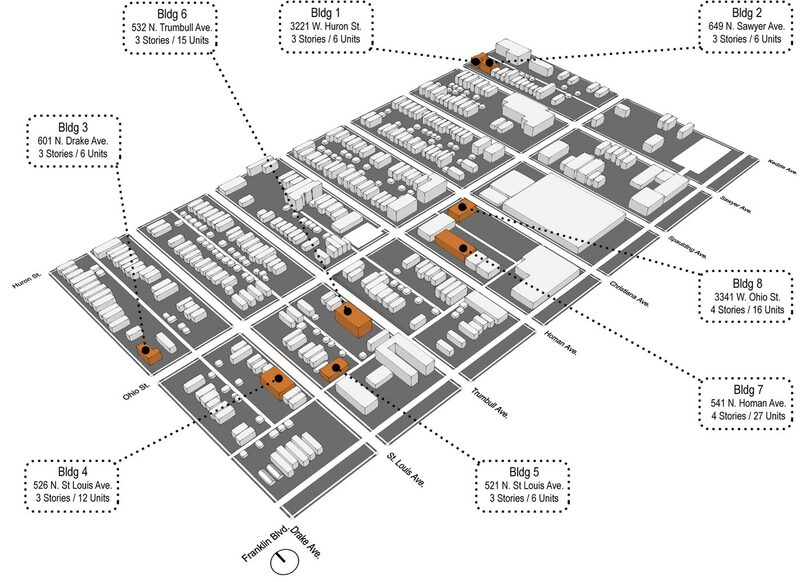 In order to achieve an economy of scale and affordability, the buildings vary from 6 to 27 units, and are all a variation on a theme of the same modular facade. 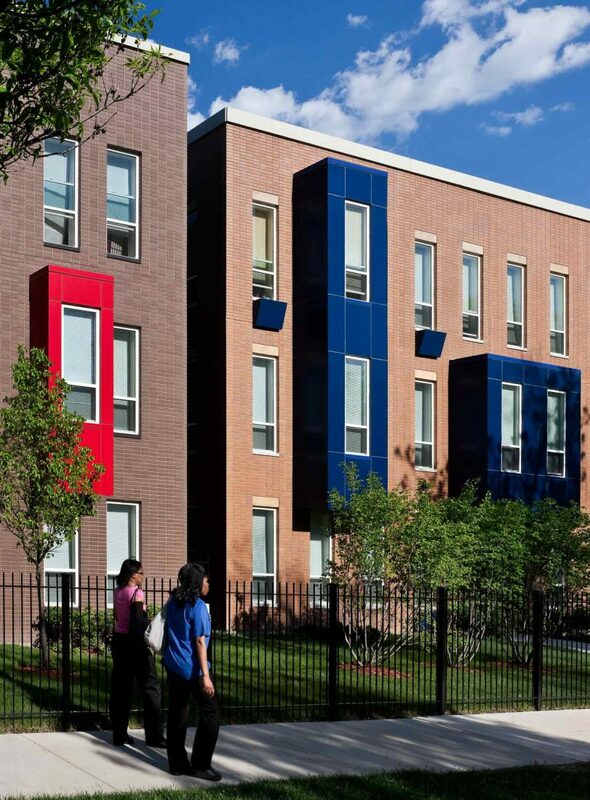 Only 2 types of windows are used throughout the development and scattered 1 and 2-story colored bays project from the front and rear of the buildings adding definition to their facades. 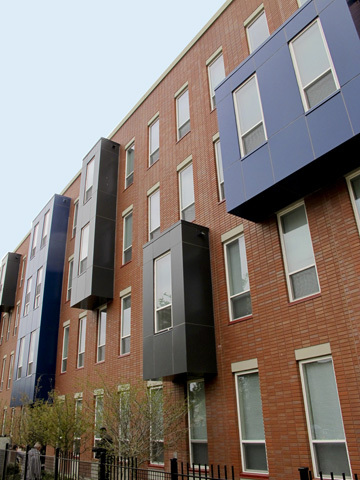 All of the buildings are built of 8-inch thick precast concrete walls with engineering wood trusses at floors and roofs. 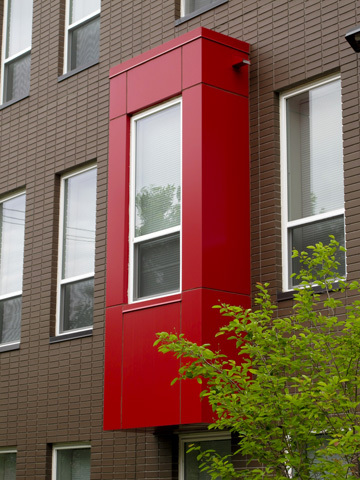 Thin brick is cast into the precast at the street facades. 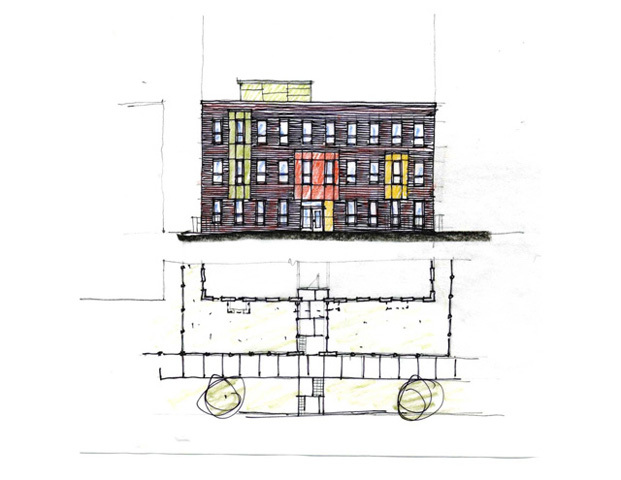 At the sides and rear of the buildings, the precast was formed with a brick pattern liner and painted. 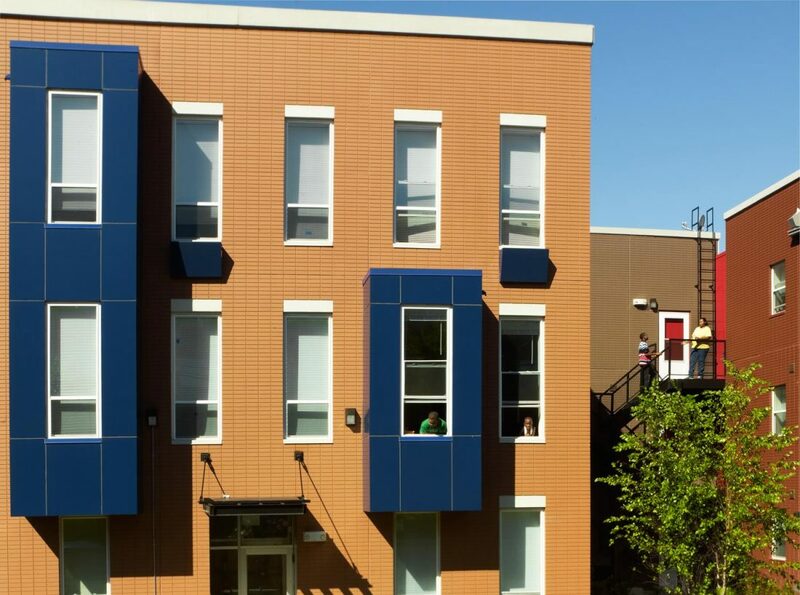 Six of the 8 buildings are 3 stories tall and the remaining 2 are 4-story elevator buildings. 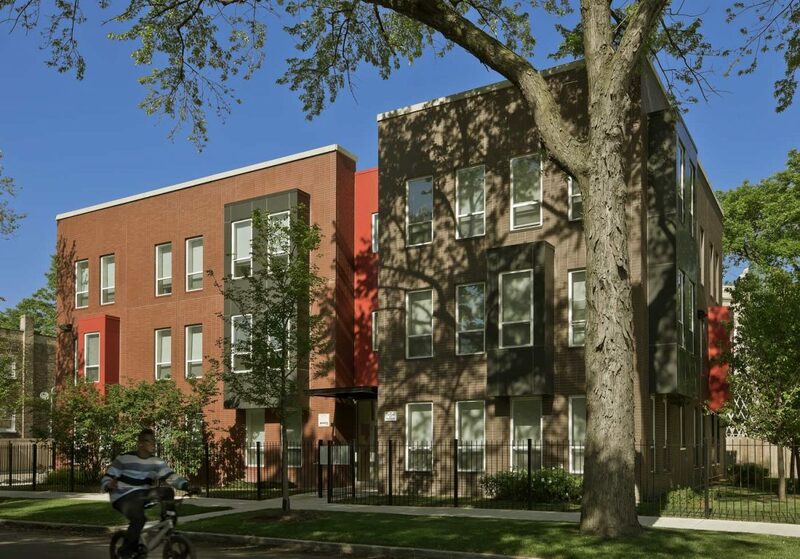 Twenty percent of the apartments provided are fully accessible or adaptable. Building 7 has received a LEED Gold certificate and all of the buildings have gone through the City of Chicago Green Permit process (each incorporating at least 90% of LEED Silver requirements).